Sometimes this little city girl turns a little bit country. My rocking out came into an all-time high again. I just can’t help it. Here’s another confession for you, I use to call this song “The BBQ Chicken Song” because of the line “BBQ stain on my white t-shirt.” And really- I just could never remember what it was called. Sorry, Tim McGraw. This is how you know I’m not a country girl. But I do love pretending to be one! I didn’t want the fun to stop so I clicked the genius button on my ipod so that more songs like this one would come on. I continued to rock out to the twangy song Stay Beautiful by Taylor Swift and then another sparkling treat Dolly Parton’s 9 to 5. I LOVE Dolly! Her glitter, her big hair, and the way that she just doesn’t care what anyone thinks of her. Another confession- if I had to wake up everyday for the rest of my life to 9 to 5– I would be a little more than OK with that! My latest workout was a 7K tempo run at a 1% incline with a killer 1K sprint at the end. Powersongs were definitely needed. 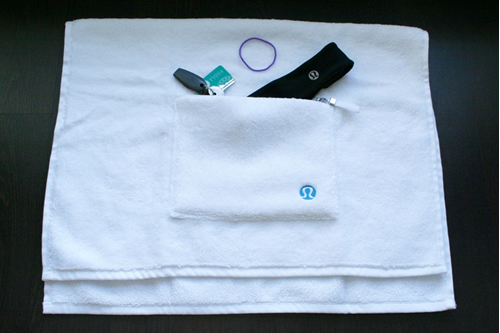 And I learnt that I reeeeaaaaally need to get myself a Lululemon Action Gym Towel. The amount of sweat that I was breaking was just ridiculous! Too bad they are all sold out and I don’t know when it will be possible to get one. Just look at how amazing they are! They have a pocket to hold all of your small items and it can even loop over your t-mill. The perfect companion. 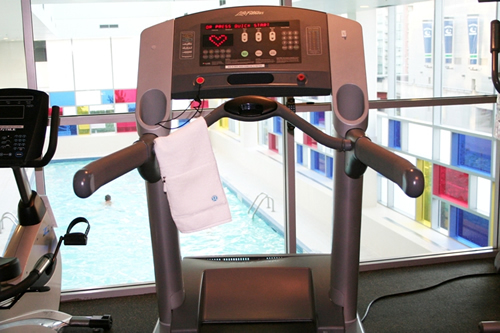 Please bring back the Action Gym Towel! This entry was posted in Cool down/Stretching, Dolly Parton, http://schemas.google.com/blogger/2008/kind#post, Lululemon Action Gym Towel, Playlist, Stats of the Run, Time McGraw by Siobhan McCarthy. Bookmark the permalink.